Water world Our cool blue planet is covered in water. Just 2.5 percent of that water, however, is fresh. Of that, only about one third is liquid. The rest is locked up as ice.That isn’t much freshwater. Yet we depend on it for everything. In the United States, each person uses an average of 340 liters (90 gallons) per day at home. And that doesn’t include the water needed to grow our food or manufacture everything from clothes to cars to cell phones. It takes 3,400 liters (900 gallons) just to make one pair of jeans. Call it the nuclear power industry’s thirst trap. The United States’ aging fleet of nuclear reactors ― responsible for one-fifth of the country’s electricity and most of its low-carbon power ― has never been more necessary as policymakers scramble to shrink planet-warming emissions. Yet the plants are struggling to stay afloat, with six stations shut down in the last five years and an additional 16 reactors scheduled to close over the next decade. So far, new coal- and gas-burning facilities are replacing them. The nuclear industry blames high maintenance costs, competition from cheaper alternatives and hostile regulators concerned about radiation disasters like the 2012 Fukushima meltdown in Japan. But the country’s most water-intensive source of electricity faces what could be an even bigger problem as climate change increases the risk of drought and taxes already crumbling water infrastructure. That finding, highlighted in the landmark climate change report that the Trump administration released with apparent reluctance last Friday, illustrates the complex and at times paradoxical realities of anthropogenic, or human-caused, warming. It also stokes an already hot debate over the role nuclear energy should play in fighting global warming, a month after United Nations scientists warned that carbon dioxide emissions must be halved in the next 12 years to avoid cataclysmic climate change leading to at least $54 trillion in damage. For nuclear plants, that warning is particularly grave. Reactors require 720 gallons of water per megawatt-hour of electricity they produce, according to data from the National Energy Technology Laboratory in West Virginia cited in 2012 by the magazine New Scientist. That compares with the roughly 500 gallons coal requires and 190 gallons natural gas needs to produce the same amount of electricity. Solar plants, by contrast, use approximately 20 gallons per megawatt-hour, mostly for cleaning equipment, according to the Solar Energy Industries Association, a trade group. Nuclear plants are already vulnerable to drought. Federal regulations require plants to shut down if water in the river or lake that feeds its cooling drops below a certain level. By the end of the 2012 North American heat wave, nuclear generation fell to its lowest point in a decade, with plants operating at only 93 percent of capacity. The availability of water is one problem, particularly for the majority of U.S. nuclear plants located far from the coasts and dependent on freshwater. Another is the temperature of the water that’s available. Nearly half the nuclear plants in the U.S. use once-through cooling systems, meaning they draw water from a local source, cool their reactors, then discharge the warmed water into another part of the river, lake, aquifer or ocean. Environmental regulations bar plants from releasing used water back into nature above certain temperatures. In recent years, regulators in states like New York and California rejected plant operators’ requests to pull more water from local rivers, essentially mandating the installation of costly closed-loop systems that cool and reuse cooling water. In 2012, Connecticut’s lone nuclear power plant shut down one of its two units because the seawater used to cool the plant was too warm. The heat wave that struck Europe this summer forced utilities to scale back electricity production at nuclear plants in Finland, Germany, Sweden and Switzerland. In France the utility EDF shut down four reactors in one day. 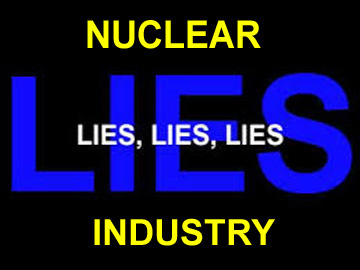 …….. the heart of the biggest question looming over the nuclear industry: Is it, given the radioactive waste it produces, clean energy? distribution in the 400 km2 area of the northern part of Tokyo Bay and in rivers flowing into it of radiocesium released from the Fukushima Daiichi Nuclear Power Plant (FDNPP) accident. The average inventory in the river mouth (10 km2) was 131 kBq⋅m-2 and 0.73 kBq⋅m-2 in the central bay (330 km2) as the decay corrected value on March 16, 2011. Most of the radiocesium that flowed into Tokyo Bay originated in the northeastern section of the Tokyo metropolitan area, where the highest precipitation zone of 137Cs in soil was almost the same level as that in Fukushima City, then flowed into and was deposited in the Old-Edogawa River estuary, deep in Tokyo Bay. The highest precipitation of radiocesium measured in the high contaminated zone was 460 kBq⋅m-2. The inventory in sediment off the estuary of Old-Edogawa was 20.1 kBq⋅m-2 in August 2011 immediately after the accident, but it increased to 104 kBq⋅m-2 in July 2016. However, the radiocesium diffused minimally in sediments in the central area of Tokyo Bay in the five years following the FDNPP accident. The flux of radiocesium off the estuary decreased slightly immediately after the accident and conformed almost exactly to the values predicted based on its radioactive decay. Contrarily, the inventory of radiocesium in the sediment has increased. It was estimated that of the 8.33 TBq precipitated from the atmosphere in the catchment regions of the rivers Edogawa and Old-Edogawa, 1.31 TBq migrated through rivers and was deposited in the sediments of the Old-Edogawa estuary by July 2016. Currently, 0.25 TBq⋅yr-1 of radiocesium continues to flow into the deep parts of Tokyo Bay. https://inhabitat.com/26000-tons-of-radioactive-waste-sits-at-the-bottom-of-lake-powell/ Located on the Arizona–Utah border, Lake Powell serves the drinking water needs of 40 million people in the Southwest while welcoming over 3 million recreational visitors every year. However, what lies beneath may give pause to those who depend on the lake. OZY reports that silt on the lake bed covers 26,000 tons of radioactive waste. A remnant from the mid-century uranium boom in the American West, the radioactive stockpile is not thought to be particularly dangerous. Still, even trace amounts can increase the risk of anemia, fractured teeth, cataracts and cancer – dangers which can become more threatening if Lake Powell suffers an extended drought. Lake Powell is a manmade lake carved from the surrounding red rock canyon and has not been completely full since the late 1990s. In the early years of the 2000s, it suffered a serious drought in which water levels dropped nearly 100 feet, or one-fifth of the lake’s full depth. Given the increased threat of climate change-related drought, it is not so difficult to imagine a situation in which Lake Powell’s water level drops enough to expose the radioactive waste to the surface environment. In the meantime, scientists are monitoring the lake while locals are encouraged to keep drinking from and playing in the beautiful body of water. clean country. Or so we like to think. strontium, iodine and tritium (among others). contaminate the Ottawa River and its riverbed from Chalk River to Montreal. Reactor’s neighbours alarmed over radioactive toxins in river, Report details dumping water contaminated with tritium PCBs, other toxins from Rolphton, Ont., site By Julie Ireton, CBC News Mar 21, 2018 Indigenous communities, environmental groups and other concerned citizens who monitor toxic waste are increasingly concerned about the dumping of radioactive matter and other contaminants into the Ottawa River from an inactive nuclear reactor northwest of the capital. A scientific report released in February details the dumping of thousands of litres of water contaminated with radioactive tritium, PCBs and other toxins into the river from the inactive nuclear power demonstration (NPD) reactor in Rolphton. Ont., about 200 kilometres from Ottawa. The contaminants are at levels above Ontario and Canadian surface water quality standards, according to the report. It was written by geoscientist Wilf Ruland, who was retained by the Algonquin Anishinabeg Nation Tribal Council to review the proposed decommissioning of the demonstration reactor. “The site is so close to the Ottawa River, only being 100 metres [away], and for us the environment and the water are two of our priorities,” said Norm Odjick, the tribal council’s director general. Ottawa Riverkeeper Meredith Brown said radioactive tritium has been dumped into and diluted by the river, but cannot be filtered out or treated like other toxins. ……. Ole Hendrickson, a scientist and researcher for the group Concerned Citizens of Renfrew County and Area, questions the safety of the discharge limits for the facility. “Aquatic organisms are being exposed to very high concentrations of toxic substances, and there’s nothing to stop boaters from drawing and filtering river water near the discharge point for drinking,” Hendrickson said. What a great article! and magnificent photos!. And Kenneth Weiss has a degree in folklore! Doesn’t that tell us something? We are in an age where we are constantly being told that STEM (Science Technology Engineering Maths) are what matters most – indeed, are all that matters. Well- yes, they do matter. But what about the humanities – arts, social studies, history literature, cultures? We need more Kenneth Weiss’s – more students of folklore ! “……………..Around the globe, climate change is warming many lakes faster than it’s warming the oceans and the air. This heat accelerates evaporation, conspiring with human mismanagement to intensify water shortages, pollution, and loss of habitat for birds and fish. But while “the fingerprints of climate change are everywhere, they don’t look the same in every lake,” says Catherine O’Reilly, an aquatic ecologist at Illinois State University and co-leader of a worldwide lake survey by 64 scientists. In eastern China’s Lake Tai, for example, farm runoff and sewage stimulate cyanobacterial blooms, and warm water encourages growth. The organisms threaten drinking-water supplies for two million people. East Africa’s Lake Tanganyika has warmed so much that fish catches that feed millions of poor people in four surrounding countries are at risk. The water behind Venezuela’s massive Guri hydroelectric dam has reached such critically low levels in recent years that the government has had to cancel classes for schoolchildren in an effort to ration electricity. Even the Panama Canal, with its locks recently widened and deepened to accommodate supersize cargo vessels, is troubled by El Niño–related rainfall shortages affecting man-made Gatun Lake, which supplies not only water to run the locks but also fresh drinking water for much of the country. Low water levels have also forced limits on the draft of ships so the ships don’t run aground in the lake. Of all the challenges lakes face in a warming world, the starkest examples are in closed drainage basins where waters flow into lakes but don’t exit into rivers or a sea. These terminal, or endorheic, lakes tend to be shallow, salty, and hypersensitive to disturbance. The vanishing act of the Aral Sea in Central Asia is a disastrous example of what can happen to such inland waters. In its case the main culprits were ambitious Soviet irrigation projects that diverted its nourishing rivers. Africa’s Lake Chad is a sliver of its former self. Iran’s Lake Urmia has shrunk by 80 percent in 30 years. What remain are the carcasses of ships settled into the silt. Similar scenarios are playing out in terminal lakes on nearly every continent, a combination of overuse and worsening drought. Side-by-side satellite images reveal the shocking toll. Lake Chad in Africa has shrunk to a sliver of its former self since the 1960s, heightening shortages of fish and irrigation water. Displaced people and refugees who now depend on the lake put an additional strain on resources. Shortages as well as tensions in the hot, dry Sahel are driving conflict and mass migration. Utah’s Great Salt Lake and California’s Salton Sea and Mono Lake have undergone periods of recession too, diminishing critical breeding and nesting areas for birds as well as playgrounds for recreational boaters. After the Caspian Sea, Iran’s Lake Urmia was once the largest saltwater lake in the Middle East. But it has shrunk by some 80 percent over the past 30 years. The flamingos that feasted on brine shrimp are mostly gone. So are the pelicans, egrets, and ducks. What remain are piers that lead nowhere, the rusting carcasses of ships settled into the silt, and white, barren salt flats. Winds that whip across the lake bed blow salt dust to farm fields, slowly rendering the soil infertile. Noxious, salt-tinged dust storms inflame the eyes, skin, and lungs of people 60 miles away in Tabriz, a city of more than 1.5 million. And in recent years Urmia’s alluring turquoise waters have been stained blood-red from bacteria and algae that flourish and change color when salinity increases and sunlight penetrates the shallows. Many of the tourists who once flocked here for therapeutic baths are staying away. Although climate change has intensified droughts and elevated hot summer temperatures around Urmia, speeding up evaporation, that’s only part of the story. Urmia has thousands of illegal wells and a proliferation of dams and irrigation projects that divert water from tributary rivers to grow apples, wheat, and sunflowers. Experts worry that Urmia could fall victim to the same overexploitation of water as the Aral Sea. ……..
We live in an era of the most forced migration since the Second World War. We are going to need to support those who are ravaged by climate change so they can migrate with dignity. Most of these displaced people stay within their home countries. If they cross a border, they do not qualify for UN protections as refugees because they cannot claim they are fleeing violence or persecution. “We live in an era of the most forced migration since the Second World War,” says William Lacy Swing, director general of the United Nations’ International Organization for Migration. “This time, though, in addition to war, climate is looming as a major driver. We are going to need to support those who are ravaged by climate change so they can migrate with dignity.”…….. When glaciers first begin to melt, they provide an extra flush of water, explains Dirk Hoffmann, a German researcher based in La Paz who co-authored the book Bolivia in a 4-Degree Warmer World. “But we’ve probably reached peak water in most glacial watersheds,” he says, meaning that meltwater from glaciers will now diminish in the region until it is gone. ……. Second World War. We are going to need to support those who are ravaged by climate change so they can migrate with dignity. 170 MILLION IN U.S. DRINK RADIOACTIVE TAP WATER. TRUMP NOMINEE FAKED DATA TO HIDE CANCER RISK. https://www.ewg.org/research/170-million-us-drink-radioactive-tap-water-trump-nominee-faked-data-hide-cancer-risk#.WlvAYryWbGg By Bill Walker, Editor in Chief, and Wicitra Mahotama, Environmental Analyst, 11 Jan 18, Drinking water for more than 170 million Americans contains radioactive elements at levels that may increase the risk of cancer, according to an EWG analysis of 2010 to 2015 test results from public water systems nationwide. Radiation in tap water is a serious health threat, especially during pregnancy. But the Environmental Protection Agency’s legal limits for several types of radioactive elements in tap water are badly outdated. And President Trump’s nominee to be the White House environment czar rejects the need for water systems to comply even with those outdated and inadequate standards. The nominee, Kathleen Hartnett White, former chair of the Texas Commission on Environmental Quality, admitted in a 2011 interview that the commission falsified data to make it appear that communities with excessive radiation levels were below the EPA’s limit. She said she did not “believe the science of health effects” to which the EPA subscribes, placing “far more trust” in the work of the TCEQ, which has a reputation of setting polluter-friendly state standards and casually enforcing federal standards. Last month, after Hartnett White again admitted to the Senate Environment and Public Works Committee she knew the TCEQ had ignored the EPA’s radiation regulations, her nomination was sent back to the White House. But on Jan. 8, the White House renominated her, setting up another confirmation vote before the committee, and then by the full Senate. EWG’s Tap Water Database compiles results of water quality tests for almost 50,000 utilities nationwide. EWG also mapped the nationwide occurrence of radium, the most common radioactive element found in tap water. From 2010 to 2015, more than 22,000 utilities serving over 170 million people in all 50 states reported the presence of radium in their water. Radioactive elements enter groundwater from natural deposits in the earth’s crust, and the levels can be higher when uranium mining or oil and gas drilling unearth these elements from the rock and soil. They produce radiation called “ionizing” because it can release electrons from atoms and molecules, and turn them into ions. The EPA has classified all ionizing radiation as carcinogenic. There is clear evidence that high doses of radiation cause cancer in various organs. The probability of developing cancer decreases with lower doses of radiation, but it does not go away. The developing fetus is especially sensitive to ionizing radiation. At doses higher than are typically found in drinking water, radiation has been shown to impair fetal growth, cause birth defects and damage brain development. But there is no evidence of a dose threshold below which a fetus would be safe from these effects. Six radioactive contaminants were included in EWG’s Tap Water Database, including radium, radon and uranium. By far the most widespread are two isotopes of radium known as radium-226 and radium-228, which contaminate tap water in every state. The EPA does not have a separate legal limit for each isotope, only for the combined level of the two. To more accurately assess the current threat of radiation in U.S. tap water, we compared levels of the contaminants detected by local utilities not to the EPA’s 41-year-old legal limits, but to the public health goals set in 2006 by the respected and influential California Office of Environmental Hazard Assessment..
California has separate public health goals for radium-226 and radium-228 that are hundreds of times more stringent than the EPA limit for the two isotopes combined. The EPA standard for radium-226 plus radium-228 is 5 picocuries per liter of water. The California public health goal for radium-226 is 0.05 picocuries per liter, and for radium-228 it is just 0.019 picocuries per liter. The lifetime increased cancer risk at the EPA’s level is 70 cases per 1 million people. California has the most residents affected by radiation in drinking water. Almost 800 systems serving more than 25 million people – about 64 percent of the state’s population – reported detectable levels of radium-226 and radium-228 combined. Texas has the most widespread contamination. More than 3,500 utilities serving more than 22 million people – about 80 percent of the state’s population – reported detectable levels of radium-226 and radium-228 combined. See states with the most widespread contamination and cities with the highest levels of radium in drinking water. But while Kathleen Hartnett White was chair of the Texas Commission on Environmental Quality from 2003 to 2007, the state regularly and deliberately lowered the levels of radiation in tap water it reported to the EPA. A 2011 investigation by KHOU-TV of Houston unearthed TCEQ emails documenting the deception. Instead of reporting the levels measured in laboratory tests, TCEQ would first subtract the test’s margin of error. Because TCEQ’s falsifying of data made it appear that the system met EPA standards, the system did not have to inform its customers that their tap water contained dangerous levels of radiation. In 2001, TCEQ reported to top state officials – including Hartnett White and then-Gov. Rick Perry, now Trump’s energy secretary – that some types of radiation in the tap water of some Texas communities posed an increased lifetime cancer risk of 1 in 400. The EPA’s increased lifetime cancer risk for five types of radioactive elements ranges from 2 to 7 in 100,000. But the practice continued until 2008, after an EPA audit caught the state cooking the books. As my memory serves me, [subtracting the margin of error] made incredibly good sense … We did not believe the science of health effects justified EPA setting the standard where they did … I have far more trust in the vigor of the science by which TCEQ assesses, than I do EPA. “It would be . . . it would be regrettable,” she replied. In her written responses to follow-up questions from the committee, Hartnett White said she was “aware of the EPA’s interpretation of its rule,” but that she did not “recall EPA telling TCEQ during my tenure there that TCEQ’s methodology was not legal.” But KHOU’s investigation documented that in June 2004 the EPA warned the TCEQ if it did not stop the falsification, the federal agency could take over regulation of the state’s water systems. The Environment and Public Works Committee voted along party lines to send Hartnett White’s nomination to the full Senate. But on Dec. 21, Senate Democrats refused to vote on the nomination before the end of the 2017 legislative session. On Jan. 8 the White House renominated her without comment. She will now face a second confirmation vote before the committee before a vote by the full Senate. Installing a head of the Council for Environmental Quality who deliberately falsified data to get around federal regulations is an egregious betrayal of public trust. The fact that her deception left people at a serious risk of cancer makes it even more alarming. The Senate should reject Hartnett White’s nomination. The EPA must also tighten its legal limits for radioactive contaminants and require more extensive radiation testing and better disclosure – including making sure that rogue state regulators like Hartnett White don’t try to hide risks. You can read more about the health risks posed by radioactivity in drinking water in EWG’s Tap Water Database radiation report. The 26,000 tons of radioactive waste under Lake Powell http://www.hcn.org/articles/pollution-a-26-000-ton-pile-of-radioactive-waste-lies-under-the-waters-and-silt-of-lake-powellThe West’s uranium boom brought dozens of mills to the banks of the Colorado River — where toxic waste was dumped irresponsibly. Jonathan Thompson PERSPECTIVE Dec. 18, 2017 This article was originally published on The River of Lost Souls Beneath the murky green waters on the north end of Lake Powell, entombed within the tons of silt that have been carried down the Colorado River over the years, lies a 26,000-ton pile of unremediated uranium-mill tailings. It’s just one radium-tainted reminder of the way the uranium industry, enabled by the federal government, ravaged the West and its people for decades. power station site, to be dumped into Welsh inshore waters. August 15, 2017, Harmful algal blooms known to pose risks to human and environmental health in large freshwater reservoirs and lakes are projected to increase because of climate change, according to a team of researchers led by a Tufts University scientist. The team developed a modeling framework that predicts that the largest increase in cyanobacterial harmful algal blooms (CyanoHABs) would occur in the Northeast region of the United States, but the biggest economic harm would be felt by recreation areas in the Southeast. The research, which is published in print today in the journal Environmental Science & Technology, is part of larger, ongoing efforts among scientists to quantify and monetize the degree to which climate change will impact and damage various U.S. sectors……. Bloc Quebecois, environmentalists wary of proposed nuclear waste disposal plan, Mylene Crete, The Canadian Press , August 11, 2017 CHALK RIVER, Ont. — A proposed nuclear waste disposal site on land around Chalk River Laboratories is too close to the Ottawa River, says Bloc Quebecois Leader Martine Ouellet. A significant percentage of Quebecers use the river for their drinking water and a leak could be catastrophic, Ouellet told reporters while touring the nuclear facilities in Chalk River, Ont., earlier this week. Ottawa subcontracts the management of the site to Canadian Nuclear Laboratories (CNL), a consortium of four engineering and tech companies including SNC-Lavalin and Rolls-Royce. CNL says it wants to consolidate all the nuclear waste around the site in one location, so it can be monitored, contained and isolated……. Ouellet said CNL didn’t look for other disposal sites further away from the river. “I have not been reassured because their so-called best site, it’s located on their territory of Chalk River and they didn’t look outside the area because of the costs involved,” she said. Kehler said CNL did look for other locations. CNL’s plan is to create a facility that can hold up to 1,000 cubic metres of nuclear waste for up to 50 years. Benoit Delage, an environmentalist in Quebec’s Outaouais region, said it’s a bad idea. The Canadian Nuclear Safety Commission needs to conduct an environmental review of CNL’s depot proposal.